Visually stunning and engaging, designed for multiple reads that will reveal new details each time. Author has put a lot of excellent thought and work into designing this book with multimedia elements, creating visually pleasing pages to delight the young reader and older reader alike. Author scores with a terrific premise – how the world looks so different from a toddler’s point of view. Author gives that perspective a relatable experience – seeing a common fabric at that height: denim. Well done. So completely relatable. Book is designed beautifully, and the well-chosen word art (extra powerful in its minimalism, not overdone!) created visual fun for the reader. Terrific verse, pacing and length, and the lesson at the end (…to see the world, not pass it by) is such an important one for little readers to learn mindfulness, presence, appreciation, beauty, and also the important lesson seeing things from another’s point of view. Very well done. Hope to see more from this author and illustrator. Talent is impressive here. It’s not always the case that text, illustration and that hard-to-define magic that occurs in their synergy live in a book – but in this case, they definitely do. 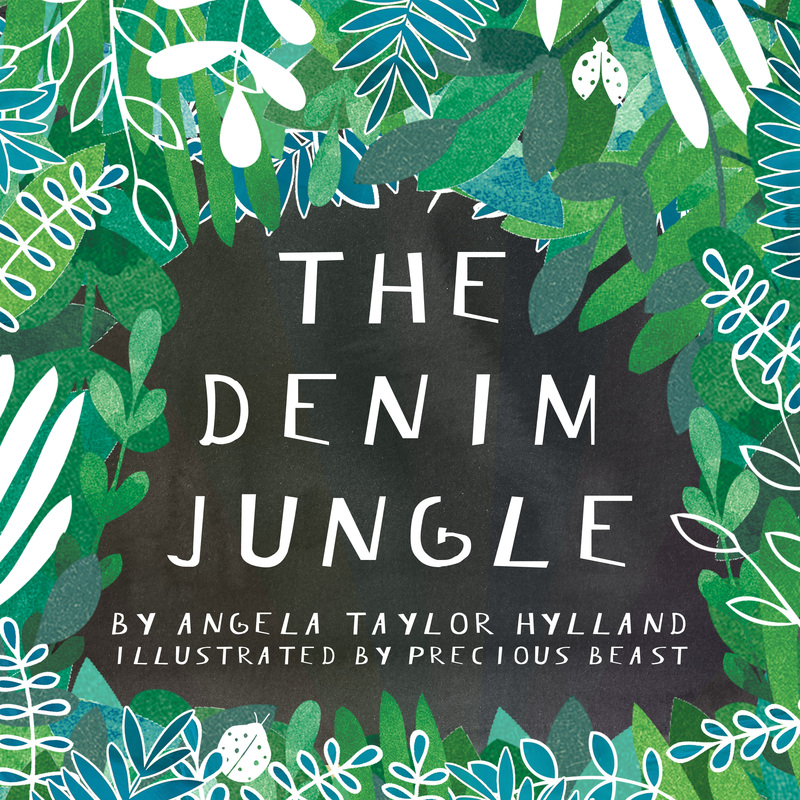 The Denim Jungle is a fully-realized, engaging book with exciting potential on the market. Well done. Love the language play as well; works on the tongue and visually. So amazing Angela… and so well deserved! Congrats. What Leslie said. Well done and well deserved!